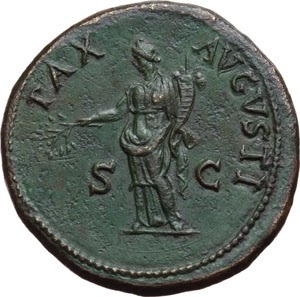 Titus was born Titus Flavius Vespasianus in 39 AD, the eldest son of Vespasian and Flavia Domitilla. He began his military career early, and served as a tribune and a quaestor. He served in both Britain and Germany. 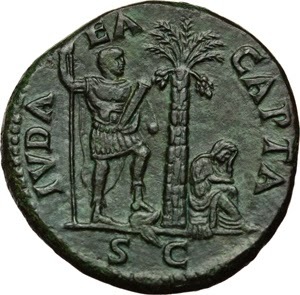 In his father's service, he led legions in Judea, and captured the cities of Gamala and Taricheae. In 69, Titus was charged with the mission of suppressing the Jewish revolt, which he did in four months' time. He captured Jerusalem and struck at the heart of Jewish identity by destroying the Temple. His treatment of his captured foes was merciless. For this successful conquest, he was awarded a triumph by the senate. 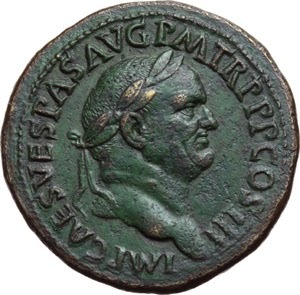 Vespasian envisioned a Flavian dynasty to rule Rome, and due to Titus' military successes and his loyalty to his father, he was named both Caesar and Designatus Imperator on Vespasian's coinage. 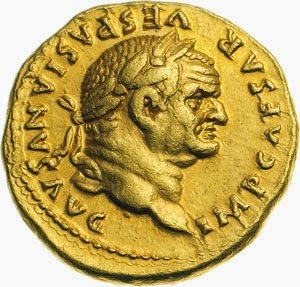 Many in the senate viewed a dynastic rule as a threat to their power, and conspired against Titus out of fear. 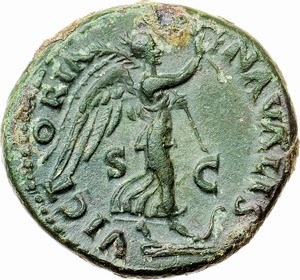 One of the most enduring symbols of Rome found completion during the reign of Titus. The Flavian Amphitheater, known by most as the Colosseum, was completed and brought into use at this point. Also during his reign, three great disasters took place. 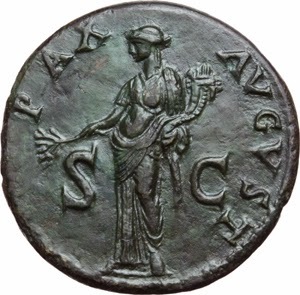 First, and of historic proportions, was the eruption of Mount Vesuvius, destroying several towns, most notably Pompeii. Second, a huge fire burned in Rome for three days, destroying many important buildings. And thirdly, there was a severe outbreak of the plague. 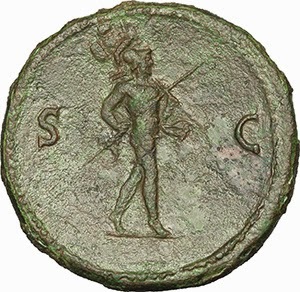 Titus' responses with help to those affected by these disasters did much to bolster his image and reputation among his subjects. 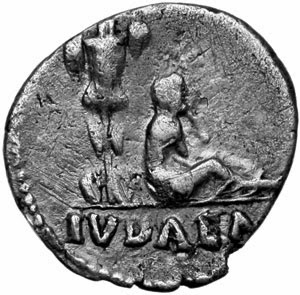 Titus' short reign ended on 13 September 81 at the Aquae Cutilae after an unknown illness took its' course. Rumors that he was poisoned by his brother, Domition, abounded, but the likelihood is that he died a natural death. 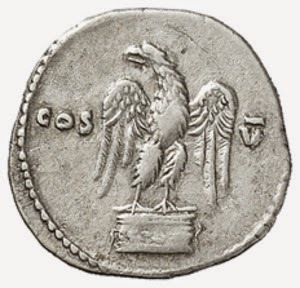 The coinage of Titus showed the beginnings of a decline in artistic merit. Portraiture, while in many cases remained superb, overall consistency in the grade of workmanship varied quite a bit. 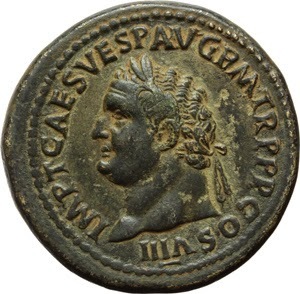 Reverses were quite varied in topic and content, but tended on the whole to be more simple and thematic than those of previous emperors, such as Nero, whose Port of Ostia coinage ranks among the masterpieces of Roman numismatic art. 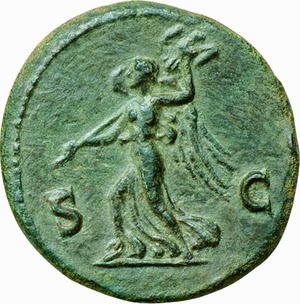 Reverses often depicted scenes representing peace, and in a typically Roman spirit, Victory and military prowess.